Mamaearth's MadeSafe certified and dermatologically tested mineral oil is a light and nourishing hair oil. 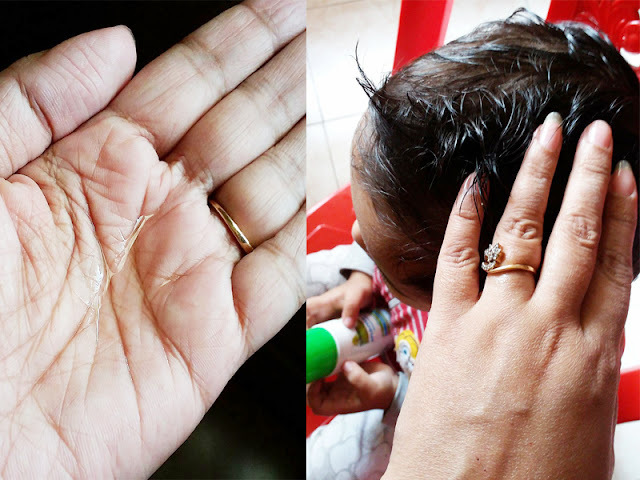 Nonsticky, mild and gentle on baby's scalp. Enriched with the goodness of jojoba oil, almond oil, avocado oil and Vitamin E, promoting soft and healthy hair growth. With Coconut Oil and Almond Oil, it penetrates hair roots deeply and nourishes them. Avocado, Almond, Lavender and Coconut Oil soothes the cradle cap. With no harmful chemicals, mineral oil, parabens and artificial fragrance it's the best for baby's scalp massage and hair. 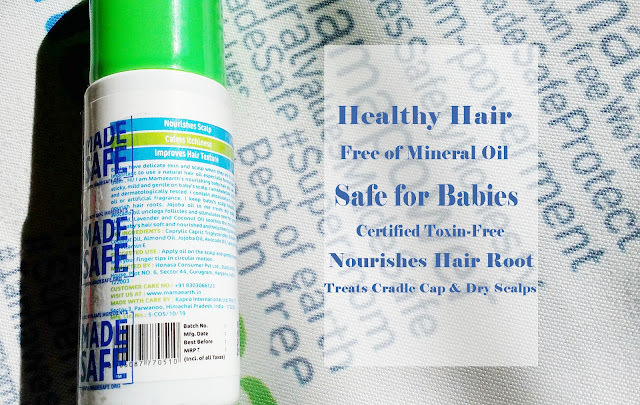 Healthy hair: Mamaearth Hair Oil for Babies enriched with Almond, Avocado Oil and Vitamin E is light and nongreasy, makes baby hair soft and healthy. Nourishes hair root: Avocado and Jojoba Oil deeply moisturizes the scalp and strengthens hair roots ensuring the growth of stronger hair. Treats cradle cap & dry scalps: It has Vitamin E to moisturize the dry scalp of the baby. Coconut oil with Almond and Lavender oil soothes irritation and comforts scalp with cradle cap. 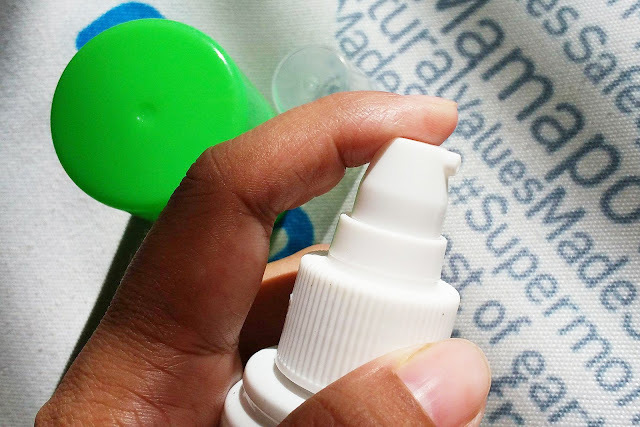 Safe for babies: All ingredients used are natural and free of toxicity and irritants. They are gentle and totally safe on the baby scalp. I have been using this Nourishing Hair Oil for my boy almost on a daily basis for the past three weeks. Mamaearth Nourishing Hair Oil is a light and nourishing hair oil. It enriched with the goodness of jojoba oil, almond oil, avocado oil and Vitamin E, promoting soft and healthy hair growth. With Coconut Oil and Almond Oil, it penetrates hair roots deeply and nourishes them. Avocado, Almond, Lavender and Coconut Oil soothes the cradle cap. Mamaearth Nourishing Hair Oil comes in a very sturdy and very good quality bottle with a spray nozzle that dispenses each time the right amount of product in a just single pump. This bottle secured with two caps one for the bottle and one for the nozzle inside. I like this kind of packaging which protected from any damage, easy to use and hygienic. The packaging absolute travel-friendly. The oil is thin and light and doesn't have any color (no artificial color). It is a completely non-sticky hair oil. The fragrance is not overpowering but nice and soothing for me. Before 20 to 30 minutes of the bath, I massage my son's hair and scalp with this oil. It gets absorbed quickly. This hair oil came off very nicely with mild baby shampoo. Since I am using a very little amount of oil, so the hair not felt too much of oily and every time no need to shampooing. I also use this as a hair serum very alternative day. It works amazing for hair growth and makes his hair softer too. I have also noticed that the hair oil significantly reduce his hair fall. Even dandruff has disappeared from his scalp. 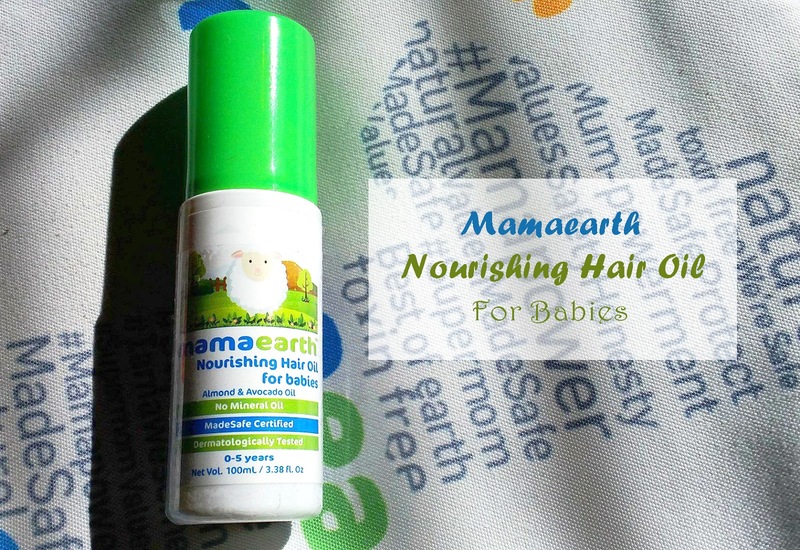 Overall, Mamaearth Nourishing Hair Oil For Babies is 100% natural hair oil. The Nourishing Hair Oil For Babies has a natural blend of Sesame Oil, Coconut Oil, Almond Oil, Jojoba Oil, Avocado Oil, Vitamin E, Lavender Oil which keep your child’s hair healthy, smooth and soft. It is free of different harmful chemicals like parabens, phthalates, sulfates, mineral oil, petroleum, synthetic fragrances or dyes with no synthetic perfume. It is a very light hair oil that doesn't make hair sticky. To be honest this hair oil gives me the desired result. It's very effective hair oil for 0-5 years kids. At least try the hair oil, you will not be disappointed! 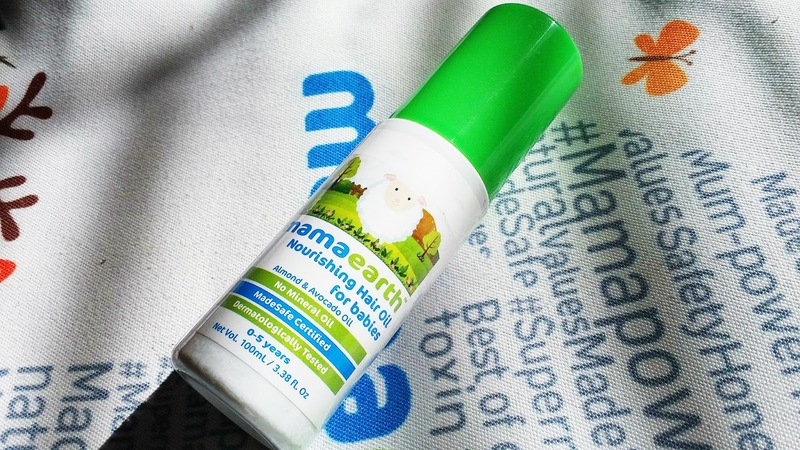 Have you tried the Mamaearth Nourishing Hair Oil For Babies? Me & my little one enjoy the champi sessions with this oil. I love this oil. Leaves the hair so smooth and shiny. Mama earth has gone long way wrt their awesome products. I'm sure its a great oil for babies and toddlers. They have an amazing range of products and this is one of them which worlds pretty well! 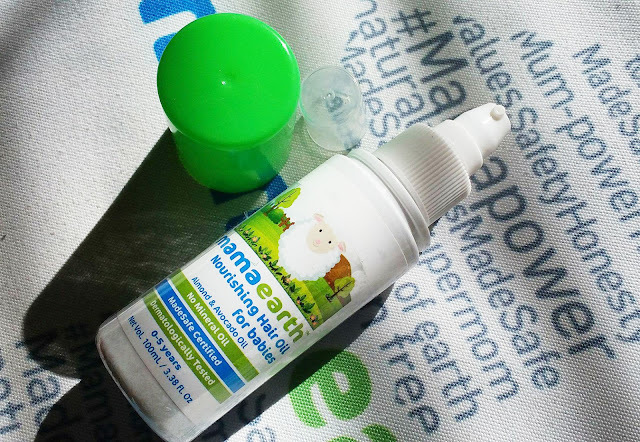 MamaEarth hair oil is just awesome for babies.. Love it..
my kiddo loves her MAMA EARTH champi!! Love the nourishing oil! Wow! I think this product could help nourish the hair of babies. This product sounds great and the review is really awesome. I would say this is truly a blessing for baby hair and nourishment. Packaging as sturdy is best while travelling. Awesome product.